Services of Cox & Kings tour manager (provided there are over 15 adult passengers travelling on the tour or Local representative). Cost of your overseas travel insurance valid for the duration of the tour with coverage upto the age of 60 years.Optional and Add-On tours unless mentioned otherwise. Arrival and departure airport tax of Denpasar Airport. Cost of USD 10,000 granted by the Reserve Bank of India under the Liberalised Remittance Scheme. Any increase in the airfare / taxes / routing charged by the airlines for tickets (presently calculated on 01 DEC 18). Any increase in the rate of USD leading to an increase in tour cost coming into effect prior to departure. However, the rate of exchange on the given day of payment will apply. An additional amount of INR 1,500 is to be compulsorily paid as 'Secure your Booking Amount'. Recommended tips to drivers and guides (USD 2 per person per day). 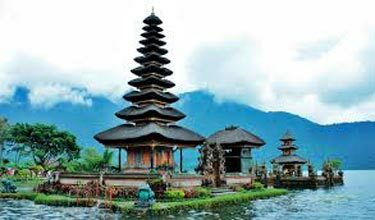 Welcome to the start of the Getaway Goddess - Bali Women's Day Special tour! 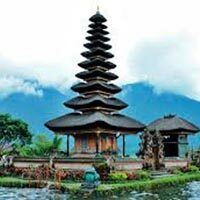 The Balinese templestyle architecture and art work around the airport is sure to come immediately to our notice, making it the perfect start to the tour. Our representative will meet you after immigration & customs and transfer comfortably to your hotel. (check in after 1400 hrs). Later, proceed for visiting to Uluwatu Temple. Hanging on a cliff 100 meters above the ocean, Uluwatu temple is a unique site. Enjoy Kecak dance, a form of dance based on vocals rather than instrument, dating far back into Balinese history prior to use of instruments. Our first morning in Bali starts off on a great note with a sumptuous breakfast. Then, we get ready for our journey to Ubud. We will visit a place where we will get a unique experience of making Silver Jewelry. Chez Monique is a small workshop of around 2-2.5 hrs. where you will be taught how to make small unique jewelry from silver. You can make ring. And if you wish to learn and make necklace, pendent, earrings (by paying additional amount). Later, proceed to visit Celuk Village. It is probably best known for its gorgeous gold and silver work. Then, our journey leads us to the village of Mas, which is renowned for the art of wood carving. The village is also the birth place of Ida Bagus Sutarja, a respected mask carver. Next , we wander through the Ubud Art Market, where we come across wicker baskets, jewellery, and hats made of straw. Following a delicious breakfast, we head out for an adventure packed tour of Bali Safari and Marine Park. It a home to hundreds of amazing animals representing more than 60 species including some of the rare and endangered species. Combining Balinese cultural ambiance with African Savannah, Bali Safari and Marine Park features the following exhibits featuring Sumatrapan elephant; Sumatran tiger, white tiger, leopard, Komodo dragon and cheetah are just some of the fascinating creatures that can be seen at the Bali Safari and Marine Park. Enjoy animal show and elephant show. (Depend upon timings). Enjoy the spectacular shows of Bali Agung Masterpiece at our state of art theater in the park, Bali Theater or make your own big splash at our Water Park and Fun Zone. Later, return to your hotel. The rest of the evening is at leisure for individual activities. Today breakfast, it's time to go on Bali's most loved experience of White Water Rafting. Get wet and wild with the pioneers of Bali's adventure industry, and enjoy a thrilling and scenic journey along the enigmatic Ayung river. Explore hidden waterfalls, swim in the pristine water and feel the thrills of the river. Be sure to enjoy Bali's most beautiful and stunning settings. Along the way there are several photo opportunity spots to take in the breathtaking views of pristine unspoiled jungle and wildlife. After finishing off at our beautiful river landing point, we'll then be escorted for a welcome hot shower with the complete range of bathroom amenities. Later proceed to pamper yourself with a soothing Balinese massage. As experts work on your weary muscles, the heady aroma works to rekindle your soul. So ladies, it's Women's Day Special so let's have something more than just a massage. We will be treated with Body scrub; Yoghurt moisturizer; Flower bath and a Ginger tea drink. After we are done relaxing, rejuvenating, and ridding our bodies of stress, we can spend the evening as we wish! Later, enjoy delicious buffet dinner in Gala Night. Our DJ will have you on your feet and dancing the night away. Our last night together in Bali is definitely one that we will cherish for a long time. The evening is at leisure for independent activities. It's time to say goodbye to Bali and this glorious experience at one of the most beautiful places on earth! Wake up blissfully content on the last day of the trip, and take back happy memories of Bali with you.